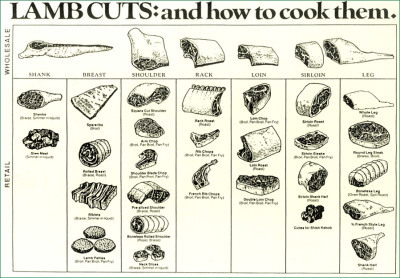 Cut Sheets Are Available For Download on "Custom Butchering Page"
If your instructions have not been received by the time we are ready to cut your animals they will be standard cut or cut according to your last cut sheet. We Will NOT Call you for instructions! The More You Call To Check on Your Products, the Less Time We Are on the Table Cutting. Requests for Completion Dates Cannot be Guaranteed. Use Form Below to Request a Slaughter and Processing Appointment. We will do our best to schedule you as close to the requested date as possible. Lambs/Goats are typically received on Tuesdays or Thursdays, Pigs Wednesdays or Thursdays, Beef Thursdays or Fridays. No Livestock are accepted over the weekend or on Monday's unless special arrangements have been made. 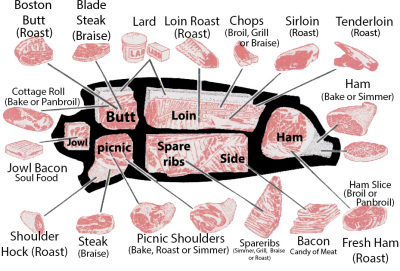 Download Our Beef Cut Sheets Here.